This water based game is played by two players at a time. The stations are placed approximately 30' from each other. 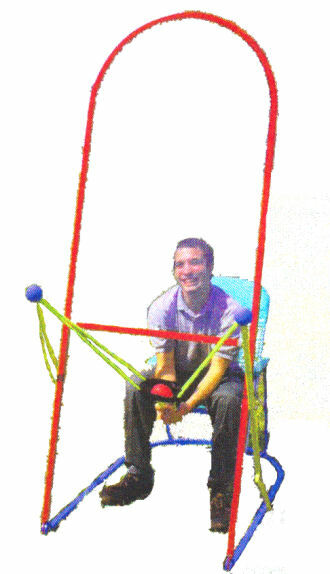 The object of the game is to blast the target on the other station with water balloons using the attached slingshot. This game is a must for any competitive event and is hilarious to watch as well as participate! Provided you have access to water hose, a water balloon filling station hooks right up to your hose. No access to a water faucet, splash balls can be used instead of water balloons. As a matter of fact this game can be played with snow balls in the winter as well. This activity is for ages ten - adult.